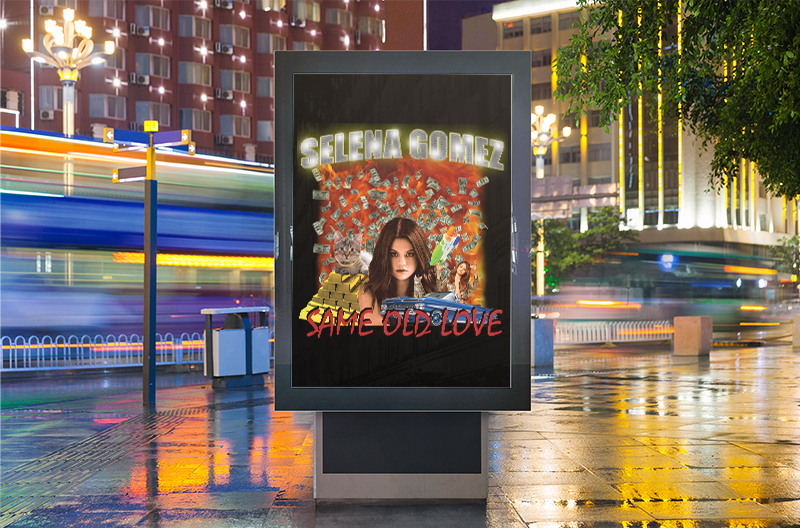 The Selena Gomez design was influenced from the old "No-Limit Records" style album covers. It was to incorporate Selena Gomez as a "gangsta-rapper" rather than a "pop-star." 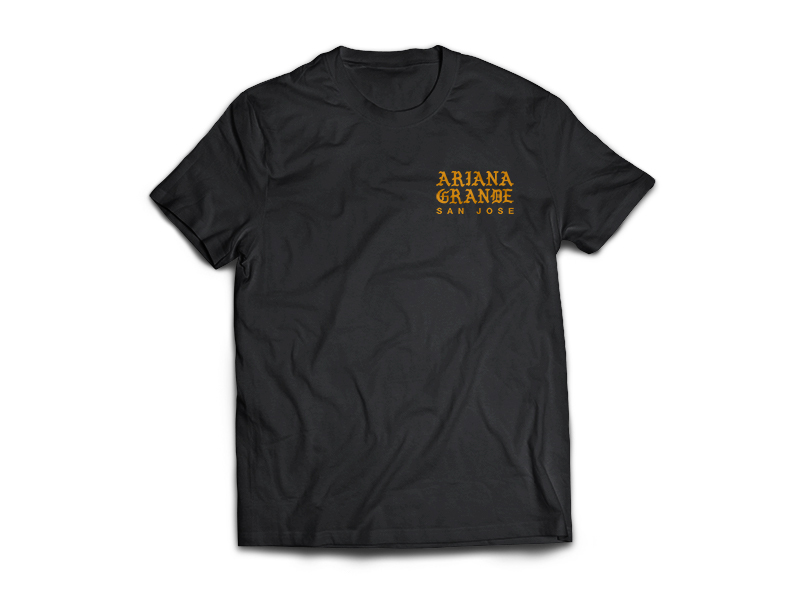 The Ariana Grande design was influenced and a "knock" off a Kanye West Tour shirt. This was my version of an Ariana Grande Tour shirt.